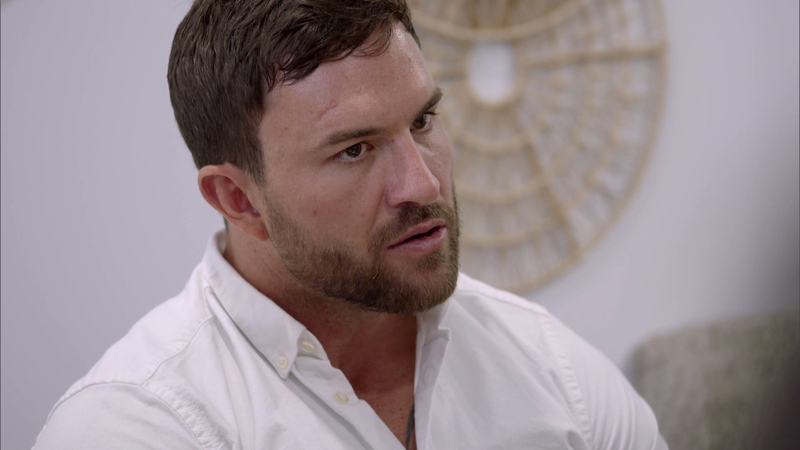 During Monday night’s episode, Dan and Jess — who have so far only seen each other at dinner parties and commitment ceremonies — met up in private for a drink. “The date went really well,” Dan tells 9Honey Celebrity. “As soon as I saw Jess I just got an immediate buzz, and I realised, ‘Oh I’m in deep here now’. The conversations flowed and connection was there, we were holding hands, kissing and having a laugh. It was Dan who made the judgement call, telling Jess he didn’t want do any more sneaking around.